The birds are up to something. This guy flew up to my window and started pecking on it right after I got to work this morning. Lasted a couple of minutes. 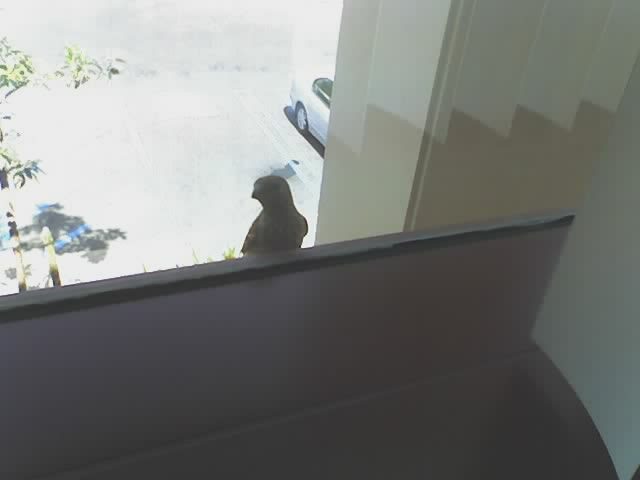 Then he showed up again after lunch for more of the same. My office neighbor said he saw it carrying something to build a nest with (as it was pecking on his window too), he must be defending his territory. Sorry about the crappy quality. All I had was a cell phone.